Assistant Attorney General Thomas E. Perez - A Brilliant Choice! Thomas E. Perez, 47, has been appointed Assistant Attorney General by President Barack Obama. Maryland's Secretary of Labor, Perez is noted as an expert on minority voting rights and hate crimes. In addition to his sterling academic credentials (Harvard, Brown, Kennedy School of Government), Perez was a professor at the Maryland University School of Law, a federal prosecutor for the DOJ's Civil Rights Division and as Deputy Assistant Attorney General for Civil Rights. Perez is credited with taking on some of the toughest civil rights cases, including a hate crimes case in Texas involving a group of white supremacists who went on a deadly, racially motivated crime spree. However, the appointment is not without controversy. NCLR and Southwestern Mexican American groups are unhappy that their favorite, former MALDEF legal expert and LA Mayor Villaraigosa advisor, Thomas Saenz, didn't get the coveted assignment. Janet Murguia fears that the choice of Perez over Saenz raises questions about Obama's commitment to immigration reform. But Perez is the son of Dominican immigrants who fled the Trujillo dictatorship in the 1960's for the short summers of Buffalo, New York. He's also served on the board of the National Immigration Foundation and the Baltimore-based CASA Maryland, a pro-immigrant service organization. In short, the selection of Perez is a brilliant move by Obama. Perez' credentials are unimpeachable -- making it difficult for the wingnuts to oppose him, while bringing to the administration a fresh perspective on civil rights from an advocate of Latino and immigrant heritage. 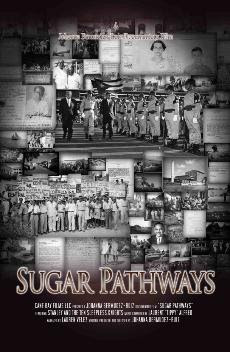 Award-winning filmmaker Johanna Bermúdez-Ruiz new film, Sugar Pathways, is a documentary about the unwilling migration of Puerto Rican families from Vieques to the U.S. Virgin Islands between the 1920s and the '60s. The film recounts the migration stories of the families through personal interviews, new and archival footage, and historic documentation. The film's Gala Premiere was held in St. Croix on Saturday, March 21, 2009, at the Go vernment House in Christiansted. Earlier on March 6th, Bermúdez-Ruiz presented the film at the Ateneo Puertorriqueño in San Juan, Puerto Rico. Bermudez-Ruiz, a Puerto Rican born on St. Croix, attended Antioch College, earning a bachelor of arts degree in documentary and film studies. Bermudez-Ruiz has produced, directed, written numerous films including the award-winning Vieques: An Island Forging Futures. She is the owner of CANE BAY FILMS, LLC. Virgin Islands (U.S.). Film documents migration from Vieques to V.I. Photo: Johanna Bermudez-Ruiz and her father, Juan Bermudez, at The Government House. My new favorite columnist/blogger is Helen Ubiñas of the Hartford Courant! Why? Because she's given Chris Dodd, the powerful U.S. Senator from Ct. a well-deserved cocotazo -- something the media bigwigs have failed to do. Dodd has sought to evade any responsibility for his role in the AIG bonus scandal even though he runs the U.S. Senate Banking Committee. But Ubiñas will have none of it! She rightly skewers the silver-haired, life-time pol in her column, There's No Bonus For Lies, Sen. Dodd. 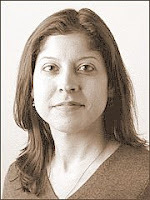 Helen Ubiñas was born in New York and received her bachelor's degree from Boston University. She began her career in journalism in 1994 when she started with the Hartford Courant as a City Desk reporter and has held a number of positions there since, including Town reporter, features reporter, lifestyles and specialties reporter. Since 2000, Ubiñas has been a columnist as well as a blogger (See Notes from Hel.). She has been awarded a number of honors, including being a finalist for the Livingston Award for Young Journalists and a member of a team awarded the Pulitzer Prize for breaking news, both in 1999. In 2004, Ubiñas was a member of a team awarded the Scripps Howard Foundation National Journalism Award for public service. In 2005, she was a finalist for her column writing for both the National Headliner Award and the American Society of Newspaper Editors Award. She was also a finalist for the Howard Scripps Foundation National Journalism Award for commentary in 2006 as well as a first place winner for her column writing from the New England Associated Press News Executives Association. In 2008, she was awarded The John S. Knight professional journalism fellowship at Stanford University. Survivors of a U.S. boarding school for the Lakota are breaking the chain of trauma in order to heal their spirits, their community and the country. Colombiana Sofía Vergara makes her Broadway stage debut as Matron "Mama" Morton, the reigning cellblock diva of the hit musical CHICAGO for a five-week limited engagement. The 36 year old actriz' stint in the popular production is from April 27th through May 24th. Sofía Vergara debutará en Broadway en el musical "Chicago"
Latinos have opportunity to transform U.S. society (Houston Chronicle, 3.3.09) is an important and insightful article by Dr. Nicolás Kanellos, director of Arte Público Press of the University of Houston and contributor to the new book Latinos and the Nation’s Future. It's a must read for anyone interested in the evolution of the U.S. Latino population and U.S.-Latinoamerican relations. "Just look at U.S. Census projections based on Latinos already in this country and it becomes clear that it’s time to accept the premise of inevitable and monumental Latino population growth. What exactly this means for the future of the country is still uncertain. But here’s one guarantee: The United States’ ballooning Latino growth will have significant implications for practically all segments of social and economic life in the United States. . . . The growing economic integration of the Americas will lead to cultural integration as well: The history, culture and civilization of Hispanics will increasingly be seen as part of the national American culture, one shared by all." However, the growth and influence of Latinos is disturbing to racists, thus any discussion on this theme is harshly combated and even censored. Is this the article is gone yet vile Anti-Latino comments remain on the paper's online edition? Gratefully, you can find the article here on Dr. Angela Valenzuela's blog, Immigration, Education and Globalization: U.S.-Mx. On St. Patrick's Day, everyone's Irish. Even Latinos put aside their Medallas, Dos Equis and Presidentes for a pint of Guinness. However, our commemoration to the shamrock and salute to the Emerald Isle has a more interesting foundation than the excuse to consume Irish stout (as if we needed an excuse). In fact, we can trace our connection to the folks of Éire to before Christianity – and before Latin America became "Latin" or "America." Rafael Merino Cortés is editor of the New York Latino Journal. Tracing Taíno Ancestry in Puerto Rico is a paper by Margarita Santori López. While there are no new revelations or findings, she does a nice job of summarizing the Taíno mitochondrial research of Dr. Juan Carlos Martínez Cruzado. BTW: I believe that the mentioned research that was to be published last year by Martinez Cruzado also showed Taíno mtDNA present in Hispaniola--albeit in a smaller percentage of the population than is the case in Puerto Rico. 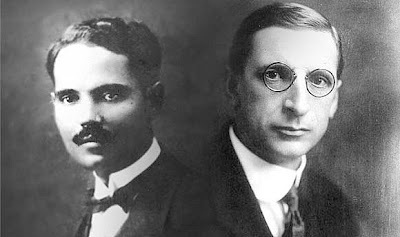 At the beginning of his research Martínez Cruzado searched for Taíno ancestry by extracting mtDNA from bones. This technique was discarded because the results did not show variety in the genetic material extracted, and the technique was too expensive and complicated. The professor, then decided to collect hair, saliva and blood samples from people with typical Taíno traits to obtain their mtDNA. Between 1998 and 1999, the investigation was based on analyzing the mtDNA of voluntaries from UPRM and Indieras, Maricao. The study revealed a higher incidence of Taíno DNA in people from Indieras whose physical appearance resembled Taínos: black hair and slanted eyes. 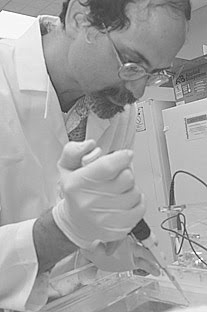 The professor then obtained funding from the National Foundation of the Science of United States to analyze the mtDNA of a representative sample in Puerto Rico. Martínez Cruzado found 19 maternal lineages; nine of which have enough frequency and variability to suggest that they go back to the pre-Columbian period. “All the members of each lineage share a great-great-grandmother. These great-great-grandmothers are responsible for all the lineages in the world and share an African great-great-grandmother,” explained the scientist. The study shows that the majority of the Indian lineages in Puerto Rico originated in the Amazonic region. See more posts on the Taíno. Latin music impresario Ralph Mercado has lost his battle with cancer at the age of 67. Mercado, who managed Latin singers including Tito Puente and Celia Cruz, died on Tuesday, March 10, 2009, in Hackensack, New Jersey. He was widely acknowledged as the most prominent promoter of salsa music, known for organizing salsa concerts in large arenas including New York's famed Madison Square Garden and Radio City Music Hall. Mercado's RMM label, founded in 1987, represented more than 130 Latin artists. He sold it to the Universal and Music and Video Distribution Corporation in 2001 after losing a copyright infringement suit. Mercado is survived by his wife, Cynthia; daughters Debbie, Damaris, Melissa and Chanel; a son, Ralph III; and six grandchildren. Joaquin unveiled the latest installment of his ongoing 'reality' movie this morning during a short rap session at a Miami nightclub. An annoyed Phoenix The Rapper jumped off the stage to confront a heckler. Security stepped in and quickly escorted the angry performer away. End of episode. Real or acting? Some fans and foes are perplexed--although having Casey Affleck videotaping each episode is a big clue. 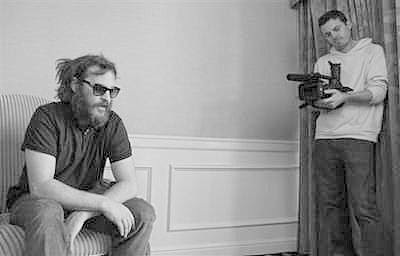 Regardless, Joaquin is a gifted actor bold enough to seek to redefine the very parameters of his craft. I love it! BTW: Here's a great photo series of Joaquin Rafael Phoenix. Puerto Ricans are a migrating people. Now after endless waves of migration, Boricuas and descendants are found in every U.S. state as well as in countries across the globe. This week, one of our own even migrates (albeit, temporarily) to space. If all goes as expected, Thursday (3.12.09) Jose becomes the first American astronaut of Puerto Rican heritage to blast-off into space. Actually, he's Joseph Michael Acabá, teacher, hydrogeologist, and NASA astronaut who was born in Southern, California to Ralph and Elsie Acabá, from Hatillo, Puerto Rico. 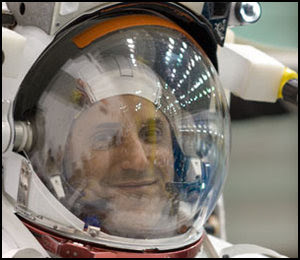 In May 2004, José--I mean Joe--became the first Puerto Rican named as a NASA astronaut candidate when he was selected as a member of NASA Astronaut Training Group 19. He completed his training on February 10, 2006 and assigned to STS-119, which is set to launch on March 12, 2009 to deliver the final set of solar arrays to the International Space Station. Congratulations to Joe and the rest of STS-119 crew. May your flight be a safe and successful one. BTW: Who's the next Boricua in space? Perhaps Guayama's own Lisha Roubert-Rodriguez. This evening, indigenous activist, historian, artist, musician and storyteller Roberto Borrero, one of only a handful of actual Taino descendants who are considered authorities on the ancient Taino culture, will introduce us to the history, creation stories, spirituality, music and song of the first indigenous people encountered by Columbus in 1492. The program will include stunning slides and a performance of Taino music by Roberto and other members of the Cacibajagua Taino Cultural Society, an organization dedicated to the promotion of Taino culture. 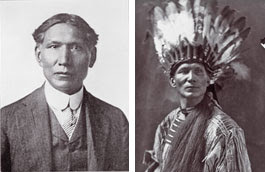 Dr. Charles Alexander Eastman (Ohiyesa), 1858 - 1939, was a American Indian author, physician, philosopher and reformer. He straddled two worlds in his life and writing. The author of Indian Boyhood was raised in the traditional way after the 1862 U.S.–Dakota War. His father later persuaded him study Christianity, and attend medical school. But when Eastman served as a government doctor during the Wounded Knee massacre, he became disillusioned about Americans’ capacity to live up to their own ideals. David Martínez is of Pima descent and he is an enrolled member of the Gila River Indian Community.